I just got my ZDNet feed in my e-mail today and what do I see but what I expected all along: Android will take over the world! Okay, I’m being a bit dramatical. As you’ve seen in previous posts, my heart is set on a particular phone. But, in terms of OSes, I am unclear which will win. For many reasons the iPhone isn’t for me (the iPhone is GORGEOUS but I’m not giving Steve more of my money for a closed system on a closed network). I’ve played with Blackberries to frustration. And I had a WinMo device. The new OS 6.5 is VERY nice and will run on new phones only — it’s another way to buy more handsets. 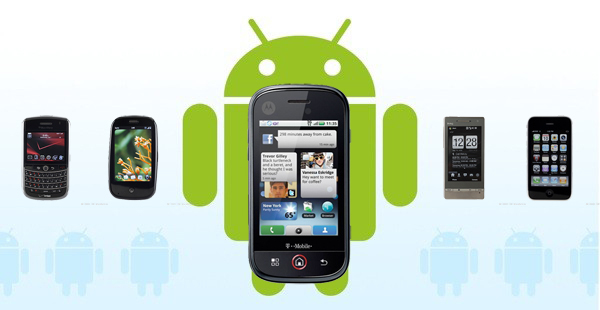 Which leaves Android, an OS which I am believing (on faith) will be the frontrunner to compete against RIM, PalmOS and WinMo. And apps. We joke, but that’s truly an extension of the phone and a logical extension of these devices. Whereas I’ve been loving mobile-enabled websites to do what I need to do, I have to admit I sorely miss some of the apps that make the iPhone more usable, like a proper Facebook app, maybe one for Yelp. Developers are clammoring for the opportunity. Developers will be jumping ship toward the App stores that pay them the most. With a lot of Apple love out there, the only one that could be in the same category is the Android Store. And it makes sense for me too as most of my data lives in the Google Cloud. What to do indeed. What are you all running out there? What are you passionate about?